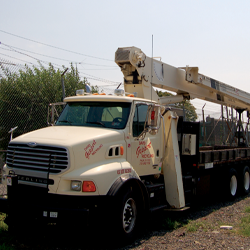 If you are looking for crane rentals near Philadelphia, you are not alone. Each year hundreds of people rent cranes for various reasons. Today we are going to learn the many benefits of renting a crane and how they can help you accomplish your goals. Below you will find several benefits of renting a crane. This medium to large sized construction equipment has a wide range of uses. Instead of going out and buying a crane, why not rent one? Cranes can be very expensive to purchase. Unless you are going to be using a crane in your everyday business, renting just makes more sense. Depending on the size, a crane could cost as much as $500,000. But renting one will only set you back a few hundred dollars an hour. When you rent a crane from a reputable company, you are often covered for repairs. If something goes wrong while you are using the crane, it’s up to the company to fix it. Repair costs can be an added expense and not having to foot the bill for them is always a bonus. Many crane rental services will offer you a certified crane operator. While this might come with an extra fee, it just might be well worth it. Having someone that knows how to properly operate a crane can be a big help. This will also eliminate the need for you to have to find your own operator. Even if you are a certified crane operator, having someone else operate the crane can free you up to do more important tasks. This will allow you to run the job and make sure everything goes the way you want it to. Cranes can pick up very heavy objects and move them quickly. This is the only safe way to move some items. Cranes are great for moving items up high or moving things that are too heavy for workers to handle alone.